Hair growth products, do they work? What do you do when your hair is in dire need of help? Going to Google in order to nullify some sort of paranoia is natural. It might surprise you just how many different services, devices and products there are on the market. Product classification becomes important to differentiate between these different finished goods. Let’s explore some of these different companies, and after, we’ll tell you just how much Viviscal can help you, with our 100% drug free supplements and our full line of hair care products for men. In the 1980’s, minoxidil lotion was the first medication approved by the FDA for treating hair loss. This created a new product classification for hair care. It was sold by prescription only in a 2% solution. This was the catalyst causing a major change in the composition and manufacturing process of hair growth products. Once minoxidil became popular, the product was distributed all across America. Read more. There are other drug-based hair care systems that do not contain minoxidil. Instead, they may have two key ingredients, sulisobenzone and phenylbenzimidazole sulfonic acid, and may also contain some vitamins. These vitamins and chemicals stop the production of sebum which contains testosterone and dihydrotestosterone (DHT). These types of products appeared on the market in the late eighties and have moved into hair salons across the country. They may also come with shampoos, creams and other products. Finasteride is a chemical approved by the FDA in 1992. It is used to treat androgenetic alopecia, otherwise known as male pattern baldness. It has a 30% success rate after six months of use, and must be used indefinitely for consistent results. This hair loss drug is not sold in stores, and it can only be prescribed by doctors. Because of its prescription strength, finasteride can have a lot of side effects, such as depression, impotence, gynecomastia and nausea. It is still on the market and may also be used for male prostate issues.Read more about thinner hair and what you can do about it. Viviscal Man is the #1 selling supplement in the U.S. for men. We use active ingredients like the exclusive marine complex AminoMarⓇ, as well nutrients like Vitamin C, Zinc, Horsetail (stem) Extract and Flax Seed Extract. Our essential nutrients work together to give your hair nutritional support. Vitamin C helps you produce collagen, helping your hair to retain its strength. Zinc is a mineral promoting cell production, tissue growth and repair. Vitamin E prevents the discoloration of hair, while nourishing your roots and scalp. And omega-3 helps your hair retain its healthy shine while adding flexibility and moisture. Viviscal Gentle Shampoo cleanses the hair and scalp to create the ideal environment for healthy hair growth. Gentle Shampoo is free from Parabens, Artificial Colors and Artificial Fragrances. The unique Multifruit Extract gently exfoliates to remove dead skin cells from the scalp, while Panthenol conditions the scalp and helps keep hair strong and healthy. 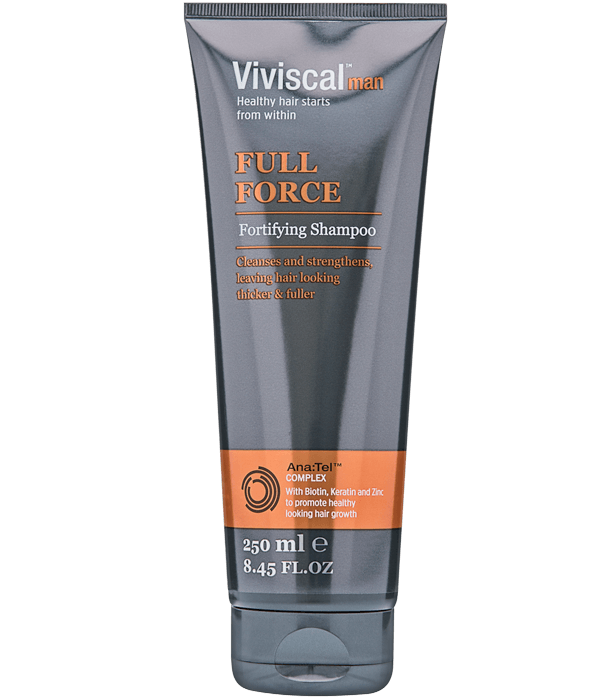 Use Viviscal Gentle Shampoo as part of our complete hair care system. Viviscal understands the fear in trying an over-the-counter hair care product. However, Dr. Grant Stevens, a board certified plastic surgeon, has this to say about Viviscal: “You have to manage hair loss from the inside out. That’s why drug free products like Viviscal supplements are the right combination of nutrients for women and men. 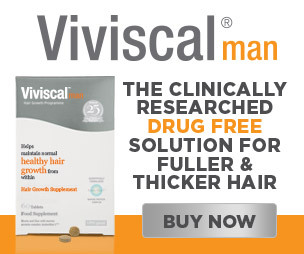 I have never seen another product like Viviscal.” More about getting your hair to grow again. Viviscal has gone through over 25 years of research and development. We bring you the best 100% drug free supplement on the market. Let Viviscal be the change you need today so you can get the results you deserve.